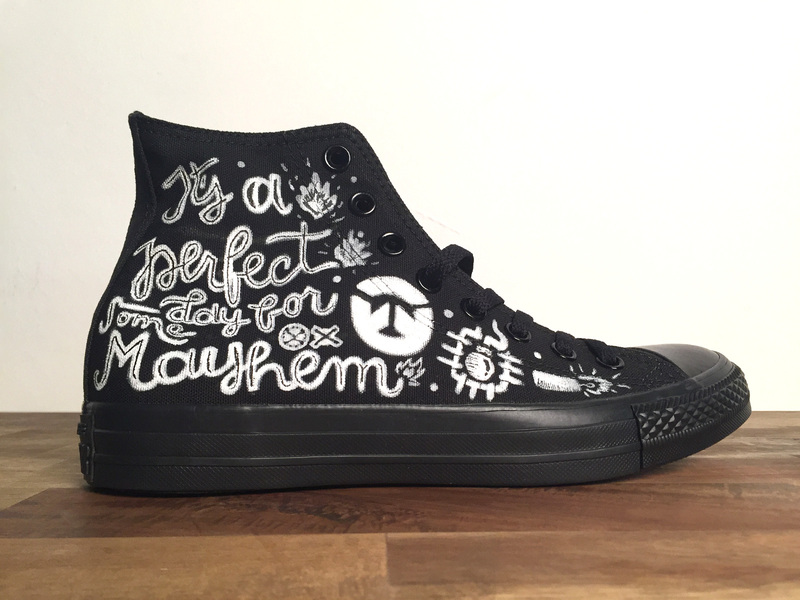 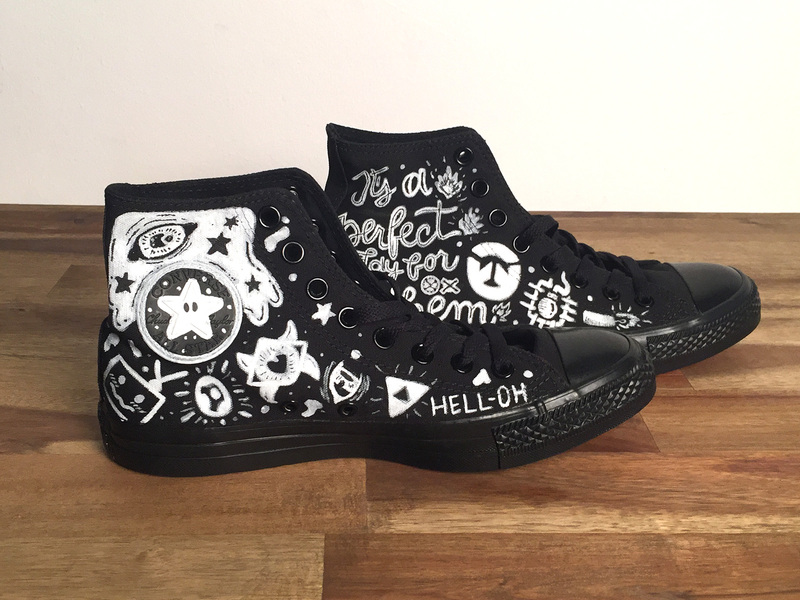 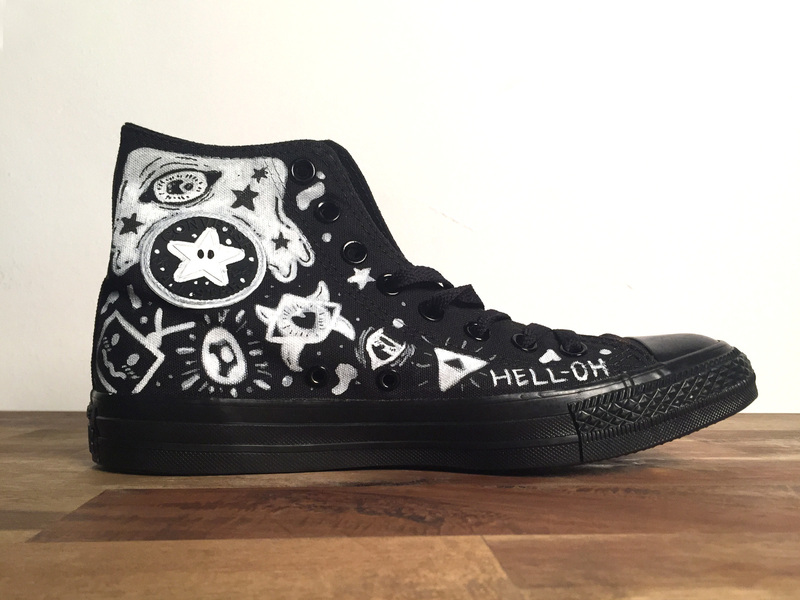 Canvas Sneakers with Overwatch themed hand-lettering and illustration. 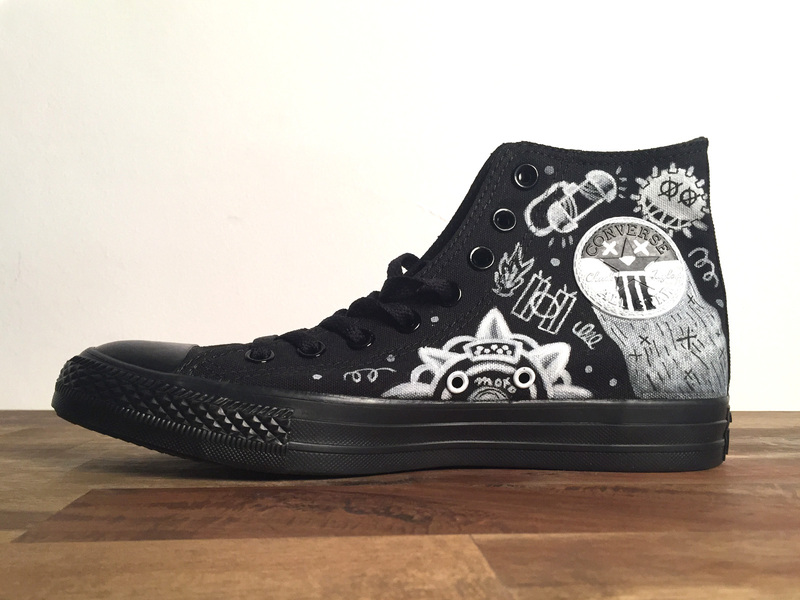 The right shoe is dedicated to the game’s character Junkrat, while the left one features many elements from other games (like Zelda, Mario, etc.) 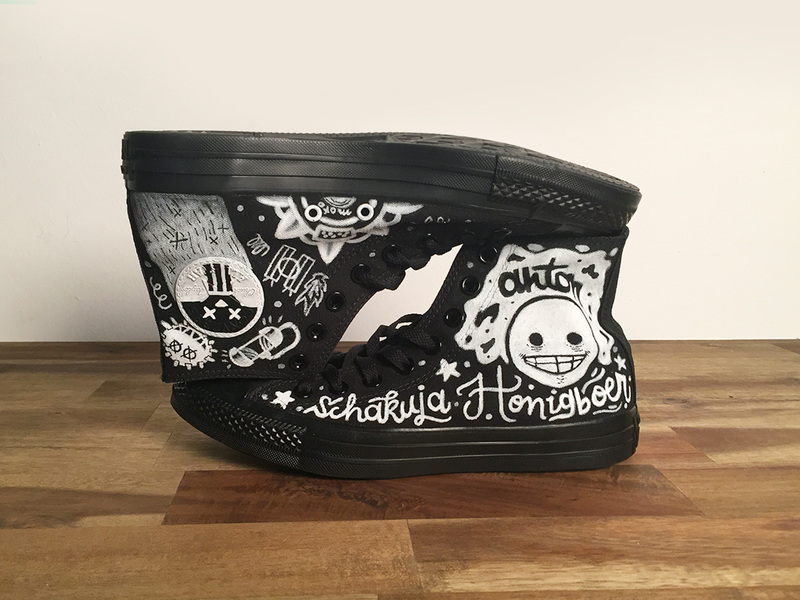 and creations by Anton Shakuja Honigboer, an illustrator who these shoes were given to. 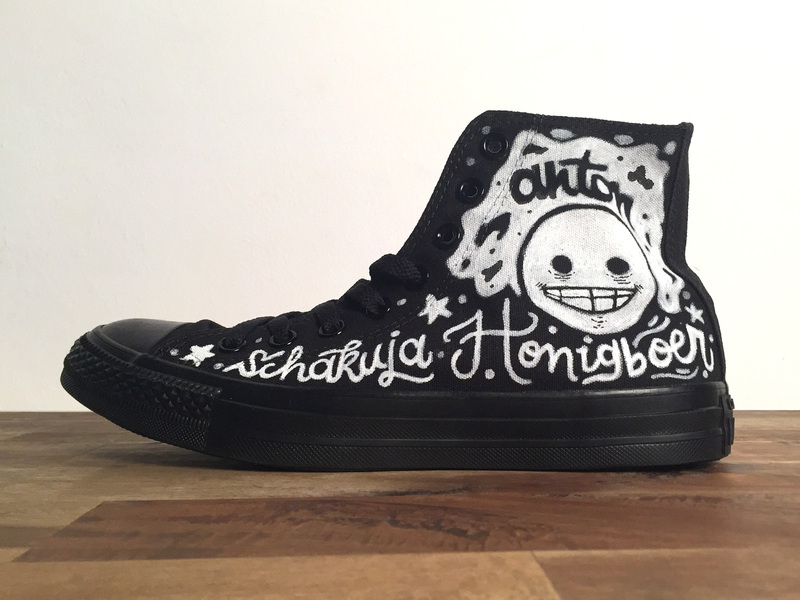 No official project but a gift for a fan.